Material Handling Equipment Manufacturer for 46+ Years and Still Growing! Koke Inc. is an industrial equipment and material handling equipment manufacturer. Located in Upstate New York, our company is primarily involved in the development and sale of non-powered equipment. 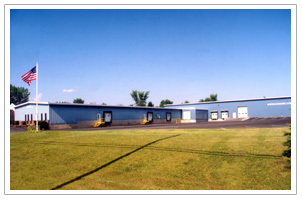 Since our beginning in 1972, Koke Inc. has focused its efforts in these areas: Warehouse, Safety and Dock. You won’t find us selling everything under the sun here. We only offer those products in our areas of expertise, and at very competitive prices. Some of our featured products are self dumping hoppers and man baskets. Our sales staff has over 110 years of combined experience selling these products. We will assist you in selecting the right product. There are many informative selection guides, specification sheets and technical data throughout this website to give you the information you need to make an informative purchasing decision. If you need a special product, just ask. No one has more ideas than our Engineering department. They have designed many custom products over the years, so we’re confident a solution can be found for your problem. When your order is ready to ship, it will be packaged properly to make sure it gets to you in good condition. Our freight rates are very competitive, and on many products, we have freight all kinds (FAK) rates that reduce freight classifications and minimize your landed cost! Our goal is to provide you with a solution to your material-handling problem. By offering you exceptional customer service with competitive prices, we intend to establish a relationship with our customers that will become long term. Our experienced staff has the knowledge to assist you and make the right recommendations. Our engineering department is continually developing new products in response to customer interests. Existing products are constantly being refined to make them more advantageous in the marketplace. Our corporate philosophy is to offer quality products backed by a staff that has extensive product knowledge of design and applications, and support it with the most efficient customer service system in the industry. This is what makes us one of the most sought after material handling equipment manufacturers in the US.